You may have seen me mention these in my recent gift guide but I wanted to tell you a little more about them! Lunar; aromatic spices of red thyme, cinnamon and nutmeg are fortified in creamy coconut crème utilising hints of soft cyclamen and jasmine blossoms which are finally marinated in an oriental wooded base. Twilight; a botanical delight with leafy green foliage fortified with fresh lavender tussles. Amorous; a delicate floral scent married with Oriental woods and succulent sweet amber notes and serenaded in heady jasmine. 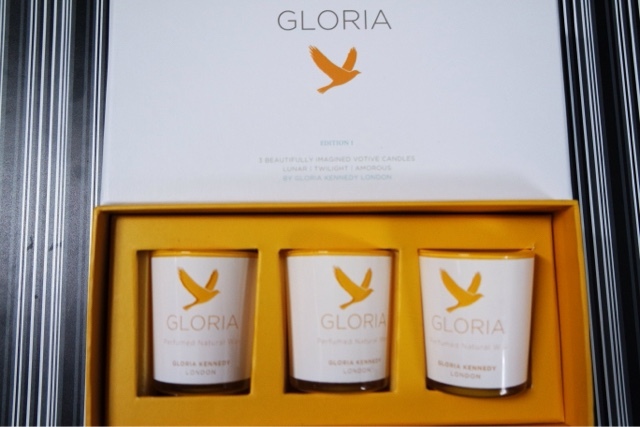 These candles are specially made so that the scent is evenly distributed and they smell gorgeous right down to the very bottom. They seem to last for hours and really are luxurious and would be great for any candle fan! My favourite one is the Amorous scent, the candles seem to last for ages! I have burnt each one to test the scent but this one I have been using more often and I have used nearly down to the bottom of it, and I have been burning it for hours! I do find that with cheaper candles they smell nice the first few burns but then the scent dies out and as you get closer down you can’t really smell them but with these they smell beautiful all the way through. This is a great gift for yourself or anyone else that appreciates candles.